Author: Noles, Jim Set In . . . The U.S. Mint's Fifty State Quarters Program-its most ambitious program to date-has been a huge popular success. When the final state quarters are released in 2008, many thousands of individuals will have collected one commemorative quarter for each state in the Union. But what can we learn about our country's history and culture from 12.50 worth of quarters? 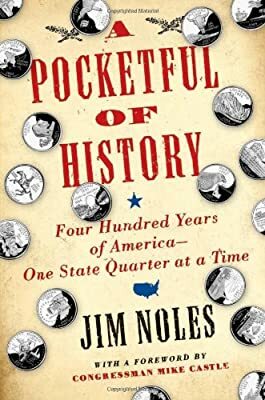 A Pocketful of History tells the intriguing story behind each state's quarter: how each state chose its quarter's design; what is important about the people, scenes, or themes depicted on the coin; and what the collection tells us about how we view ourselves and our heritage. A Pocketful of History will guide readers on a fascinating journey through America's rich history of change.